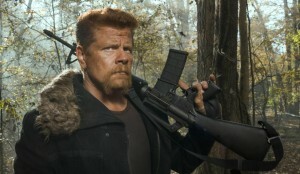 The last time we saw actor Michael Cudlitz as Abraham he was on his knees at the mercy of Negan and his merry band of ‘Saviors’ with nothing but a bleak and horrible future ahead of him. This of course came after a sixth season of The Walking Dead that had its fair share of surprises for the character that included leaving his girlfriend and attempting to build a new relationship for the future which seemed bright at the time. The Walking Dead returns on October 23 at 9 PM ET on AMC. Just another geek trying to find his way in the world.